26/08/15. Shaqlawa, Iraq. -- Displaced children from Al Anbar province play at dusk, outside their houses in Seirmaidan. 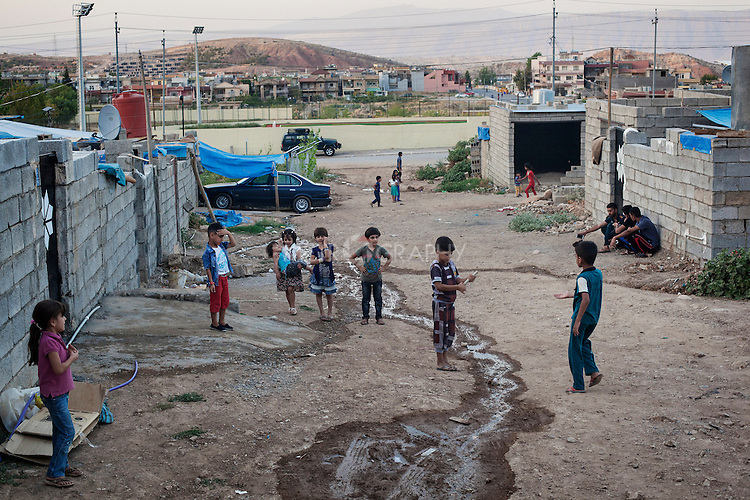 11 families live in this neighborhood (Tajawaz area), where they rent small houses from Kurdish families. Each small house comprises of a bedroom and a kitchen and cost about 350.000 IQD per month. The houses were built by the owners without authorization from the municipality and are deemed inhabitable.